This topic has received a lot of attention since the release of the overwrought climate report Friday afternoon. Dr. Marshall Shepherd is one of the leading champions of catastrophic global warming and a former President of the American Meteorological Society. Marshall is absolutely correct. That is why a single hurricane, a single wildfire in California or a flood in Texas has little to nothing to do with climate. 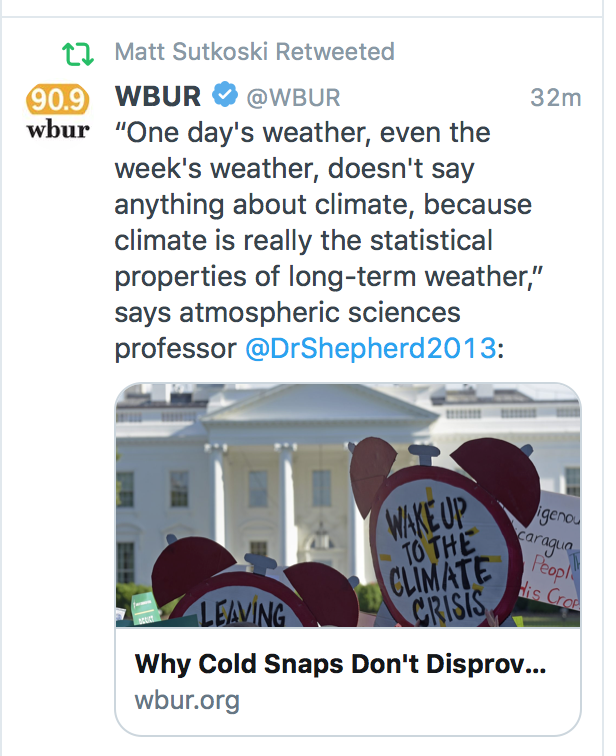 Climate is simply the long term weather and nothing more.